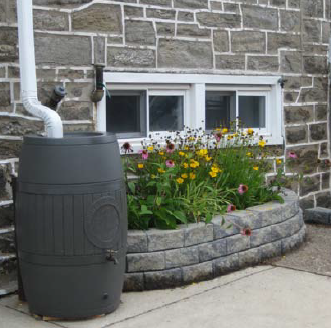 The Philadelphia Water Department and the Pennsylvania Horticultural Society (PHS) are providing rain barrels to residents of Philadelphia’s watersheds free of charge, in order to reduce stormwater flows to our sewer system and creeks. This storage of rain water serves dual purposes. First, the water can be used for purposes such as gardening, washing down patio furniture, lawn watering, etc. that otherwise tap water would have to be used for. This ends up allowing the owner to use the collected water for these uses instead of paying for tap water. Second, the rain barrels serve an environmental purpose. By storing the rain water, there is a decreased impact of stormwater runoff to streams which helps to protect the environment and minimizes sewer back ups. For more information or to register, please visit the Philadelphia Water Department’s website.